Yorkshire's Struggle Events have been named the Official Cycling Tour Guide of the 2019 UCI Road World Championships by the Union Cycliste Internationale (UCI). The Harrogate-based sportive organisers will host corporate cycling events for the UCI's key partners leading up to the Championships. Sportive organisers Struggle Events have been selected as official guides for the 2019 UCI Road World Championships. Best known for their two Yorkshire sportives - Struggle Moors and Struggle Dales - Struggle Events was set up by Harrogate couple Matthew Mannakee and Victoria Tremlin in 2015. After expanding to include corporate cycling events, Struggle's local knowledge and expertise has seen them hand-picked by the world governing body of cycling. Harrogate is set to play host to this year's UCI Road World Championships from 21-19 September 2019. Yorkshire recently caught the imagination of the international cycling world during the 2014 Tour de France Grand Dépar. The region's passion for cycling and challenging terrain have played a part in the UCI's selection of Harrogate as the finish location for the nine days of racing in Yorkshire between 21-29 September 2019. It will be the first time Great Britain has hosted the Championships since 1982. The races will further enhance Yorkshire's reputation as a world-class cycling destination following the highly successful and internationally renowned Tour de Yorkshire, held annually since 2015. Matthew Mannakee, Managing Director of Struggle Events, said: "Having the chance to work with the UCI and host some of the world's biggest cycling companies is a massive opportunity to raise our profile even further within the industry." 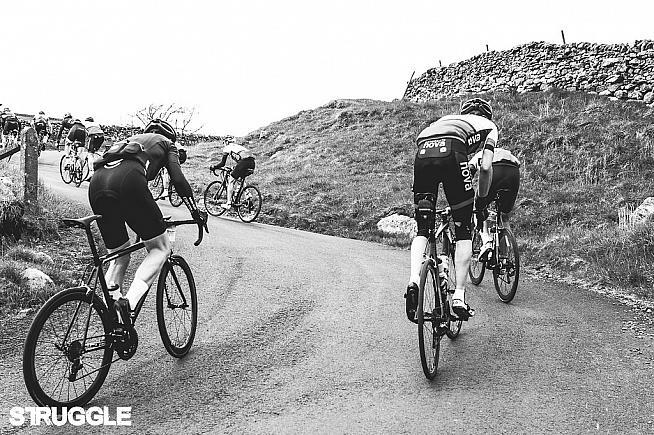 Since the business's inception in 2015, Struggle Events has built a reputation for delivering quality custom-built corporate cycling events across Yorkshire. Struggle Events now boast a busy calendar of corporate events throughout the summer in 2019 but believe their partnership with the UCI will see them increase enquiries from national and international businesses looking to host their own corporate cycling events in and around Harrogate. "Our attention to detail, our understanding of a client's business objective and our aim to put their brand at the forefront of their event, has attracted many companies to use our cycling events as a new way to network, entertain clients or just raise the profile of their business. It looks like corporate cycling is fast becoming the new golf," Mr Mannakee added. For more details and to enter Struggle's 2019 sportives, visit www.ridethestruggle.com.